Duo Deal agreed! Everton are set to sign Ashley Willams and Yannick Bolasie from Swansea City and Crystal Palace, respectively. 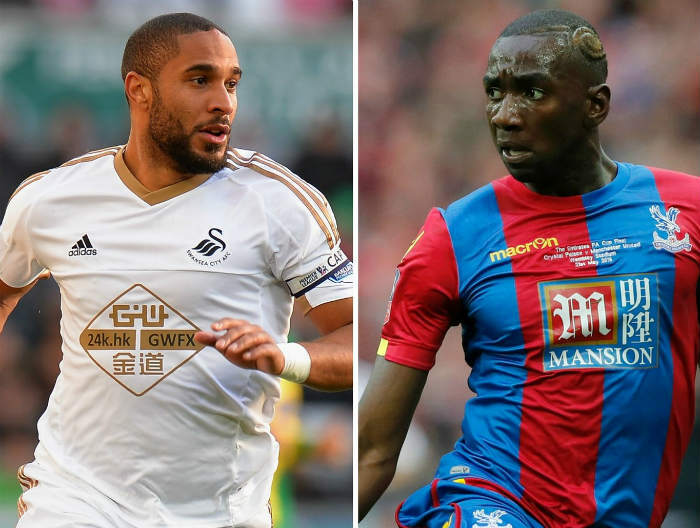 Everton are set to sign Ashley Williams and Yannick Bolasie from Swansea City and Crystal Palace, respectively. The reports from SkySports confirmed recently that the Toffees are expected to splash money which they earned from John Stones sale to Manchester City. Everton received around £47million from Stones departure and they have already planned to spend 90% of it on Williams and Bolasie. The reports believe that Everton have agreed the fee with both the clubs, £12million for Williams and £30m for Bolasie. Both the stars are expected to travel to Liverpool for the medical in the next few days. Swans rejected Everton first offer of £10million last week and told that their veteran captain is not for sale but now the 31-year-old is expected to sign a two year deal at the Goodison Park. Meanwhile, Bolasie will become the most expensive transfer in the history of Everton. Romelu Lukaku currently holds the record with £28million. Also Read: Lukaku eye Chelsea return! Bolasie who joined Palace from Bristol city in 2012 will be penning a five year deal. He helped the team to qualify for the Premier League and has been the vital player since his move. These two would be great addition for Ronald Koeman’s side.